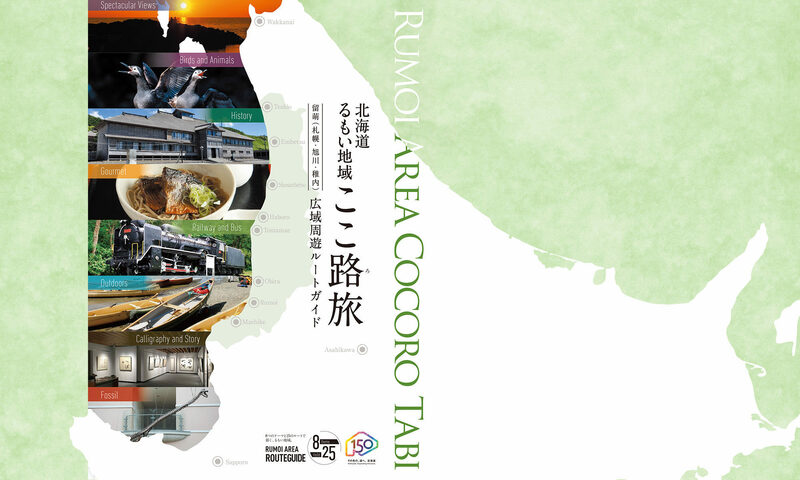 “The Sea of Japan Route”, “The Route of Flowers and Forest”, “The Waterfall Route”, “The Hot-spring Route” and other information on the many unique landscapes and notable viewpoints of the Rumoi Area is introduced in this section. Information on Highway Rest Areas, our iconic local mascots and other fun locations to visit is also included here. The Rumoi Area has been long recognized as a place of scenic beauty. Dynamically sheer cliffs, National Routes 231 and 232 (also known as the Ororon Line), the offshore islands Teuri and Yagishiri, and the sun sinking in the Sea of Japan are some of the overwhelmingly beautiful seascapes here. The sight and sound of sheer waterfalls crashing down in a spray of water is another stimulating part of the natural environment here. The magnificent viewpoints inland are also attractive: wild flowers and blooming trees, the changing colors of pre-harvest rice paddies and fields, rivers meandering through the mountains, numerous windmills standing on the hills, the scenery of Mounts Shokanbetsu and Pisshiri, and many more. The stark winter beauty of snow on Mount Shokanbetsu and winter waves along the snowy Sea of Japan coastline are yet another face of the beauty of the Rumoi Area. It has been 300 years since the development of Rumoi Area. There have been many changes in the scenery during those 300 years. Wouldn’t it be a wonderful journey to imagine bygone days while exploring the landscapes of today. You just may discover marvelous views, which have remained unchanged since olden times. Isn’t that also a great way to enjoy the scenery of the Rumoi Area.